Selfies are a growing trend when it comes to photography for social media. Aids for the same such as selfie sticks have been in huge demand. Last year, DJI attempted to make things even easier by introducing DJI Spark, the lightweight and economical drone that one could use to capture moments easily. While the concept of using a drone for taking selfies is great, at $499, it is still an expensive option. 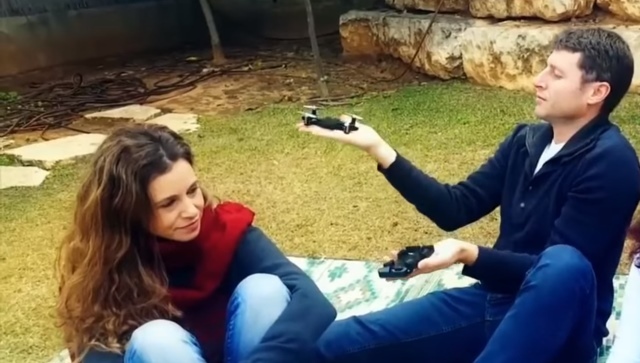 Now, the camera and recording company AEE aims to tackle this issue with the introduction of Selfly, the drone-in-a-phone-case. Unveiled at CES 2018, Selfly is basically a drone that resides within the case of your smartphone. It includes a 13MP camera that can capture still images as well as record and live stream at 1080p and 60fps. The drone’s camera makes use of a suite of Sony’s sensors. The case for Selfly is about 10mm thin and fits every 4-6″ smartphone while being compatible with both Android and iOS. The company also has specific cases depending on the smartphone. The drone comes with a hover feature that can be used to take stills as well as panoramic images. Users can control the drone with virtual joysticks or use a point-and-fly method as well. The Selfly doesn’t charge in the phone case and it lasts for about four minutes once it’s fully loaded. It has a range of roughly 45 feet, which should prove enough for most selfie enthusiasts. 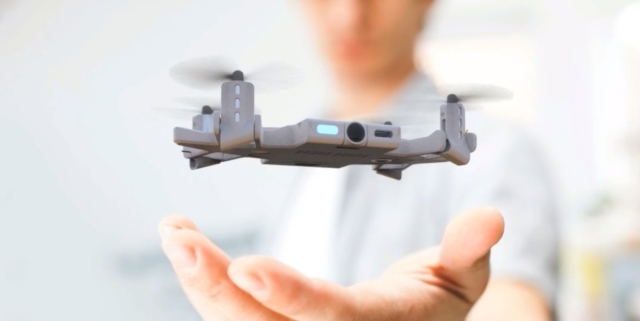 Currently available for purchase via Indiegogo, the Selfly drone can be bought for as low $109 and prices go up to $299 depending on the package you buy. While I haven’t tested out the product myself, the drone does seem like a compelling choice for travelers and selfie lovers. But what do you think? Would you pay over $100 for a phone case that can take unique selfies, or do you prefer the cheap selfie stick? Let us know in the comments down below.